The Insider's Guide to Legal Fees - Lewis Kannegieter Law, Ltd. The fear of outrageous legal fees can prevent you from seeking legal advice. Failure to hire the right attorney can create an even bigger mess. 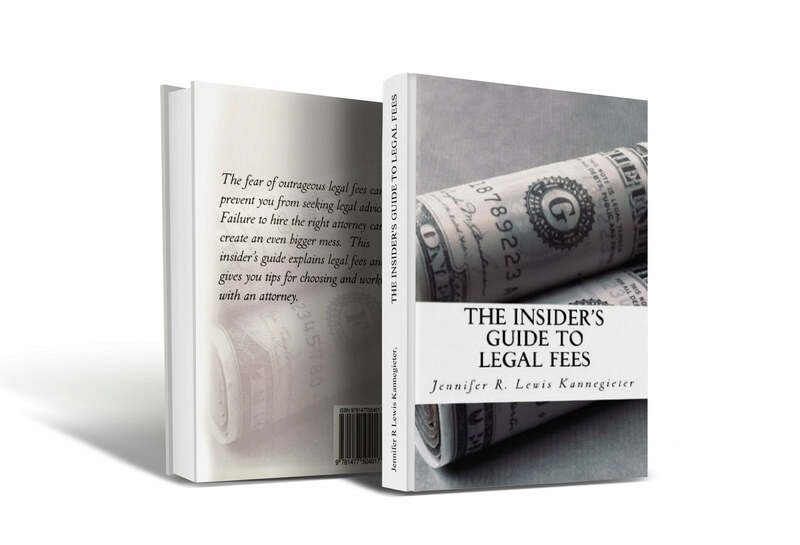 Jennifer R. Lewis Kannegieter’s book The Insider’s Guide to Legal Fees: What You NEED to Know Before Hiring an Attorney explains legal fees and gives you tips for choosing and working with an attorney. While the book is available for purchase through Amazon, you can request a free copy by completing the form below. Please send me a free copy of this book (an electronic copy will be provided if I live outside of Minnesota). Please also subscribe me to the Family Matters Newsletter. I understand that no attorney/client relationship is being formed by requesting this book.